Protesters poured en masse onto the streets of Brazil's major cities on Sunday to demand the removal of President Dilma Rousseff. 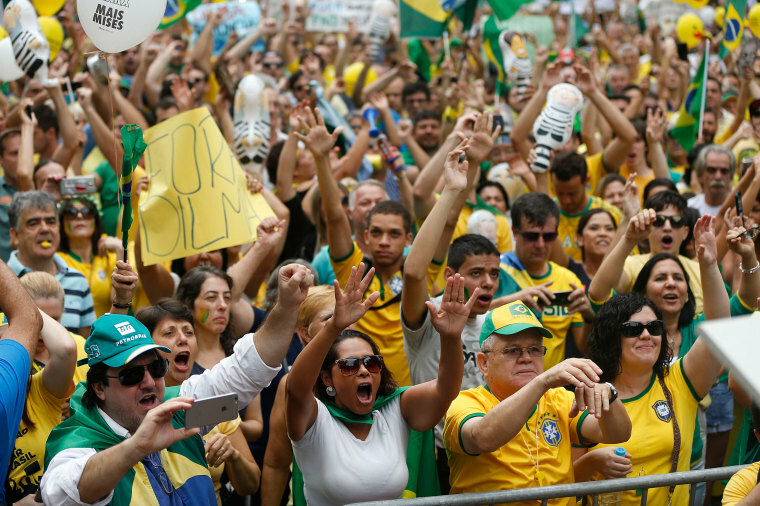 Demonstrators gather during a protest in Sao Paulo. 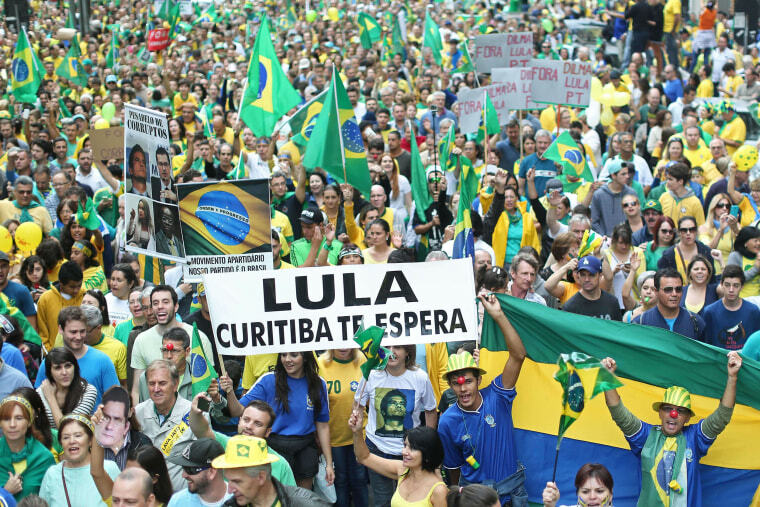 The demonstrations were the latest in a wave of anti-government rallies that lost momentum late last year but has gained strength as a sweeping corruption investigation nears Rousseff's inner circle. 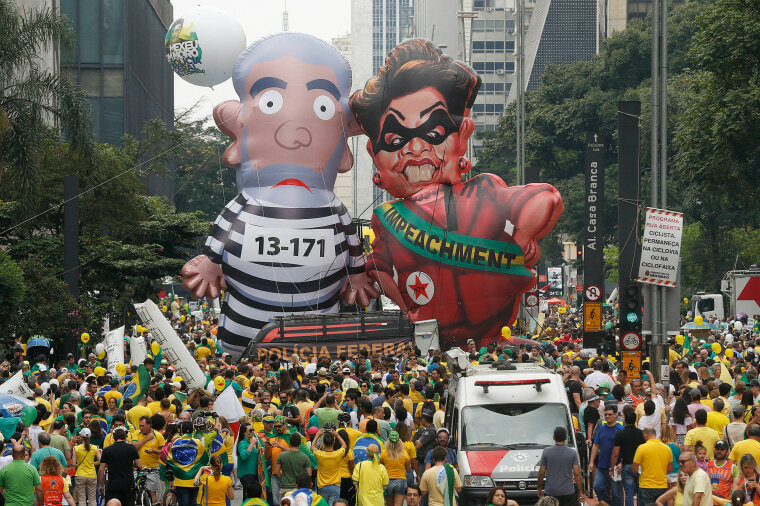 Demonstrators parade large inflatable dolls depicting Brazil's former President Luiz Inacio Lula da Silva in prison garb and current President Dilma Rousseff dressed as a thief, with a presidential sash that reads "Impeachment". 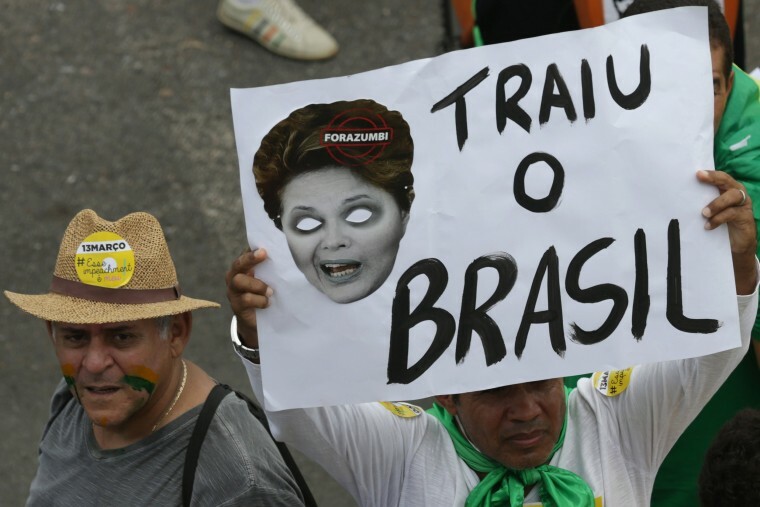 A woman holds a poster showing Brazil's President Rousseff and the words in Portuguese "Betrayed Brazil," in Brasilia. 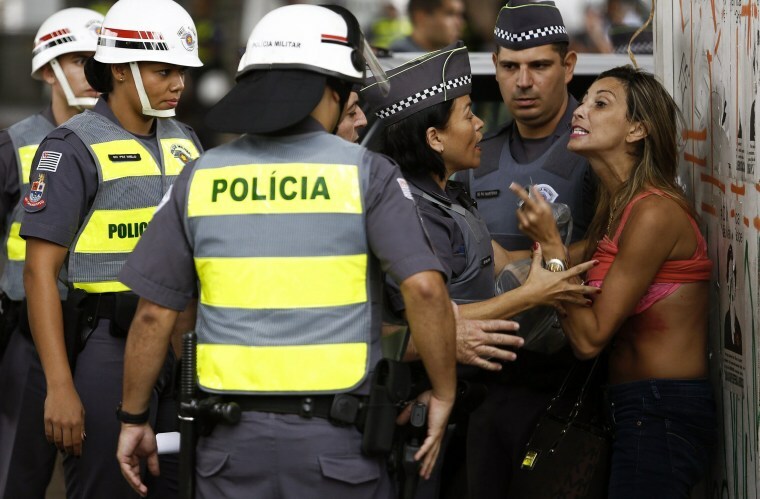 A demonstrator argues with police officers after she turned up her shirt and was taken out from the protest in Sao Paulo. 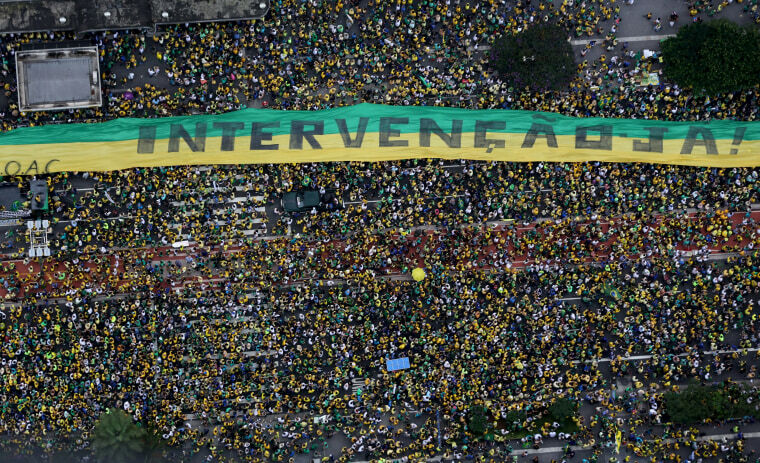 A banner reading "Intervention now!" is seen during the protests in Sao Paulo. 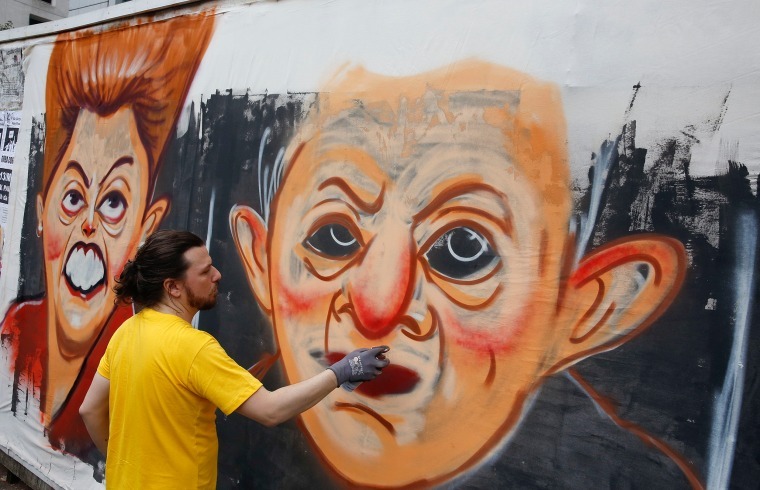 A street artist spray paints caricatures of Brazil's former President Luiz Inacio Lula da Silva, center, and current President Dilma Rousseff during the protest rally in Sao Paulo. 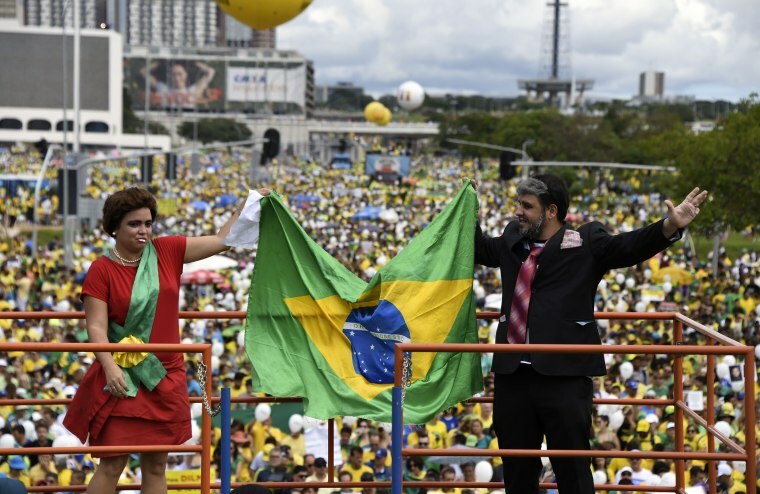 Opponents of the Brazilian government disguised as President Dilma Rousseff (L) and former President Luiz Inacio Lula Da Silva take part in a protest in Brasilia. 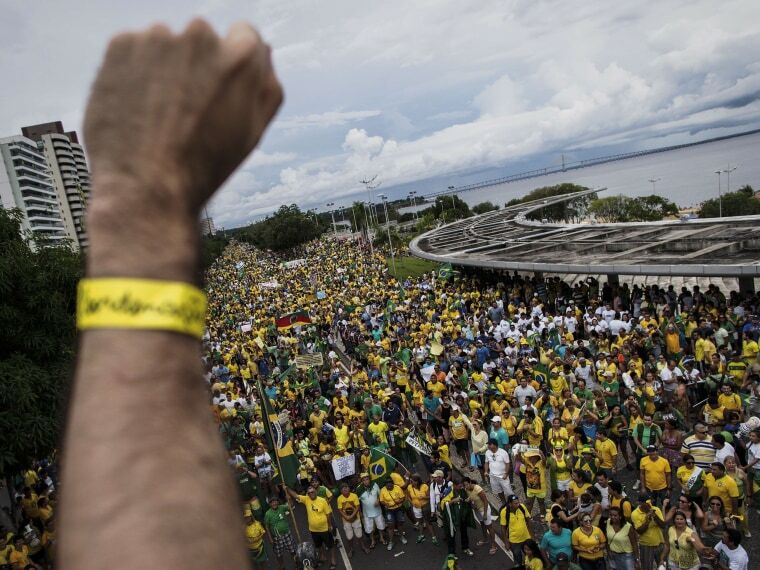 Thousands of demonstrators protest in Manaus, Amazonas, northern Brazil. 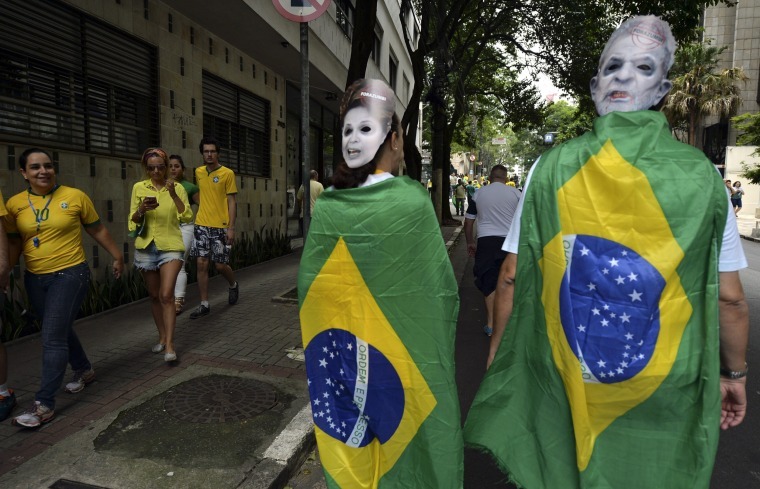 Demonstrators take part in the protest rally in Sao Paulo. 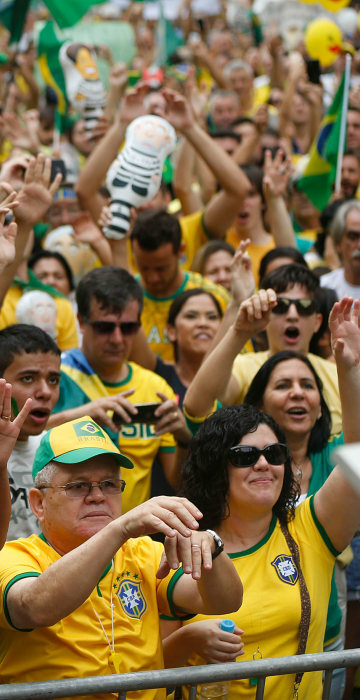 Demonstrators take part in a protest rally in Santos Andrade square, Curitiba.